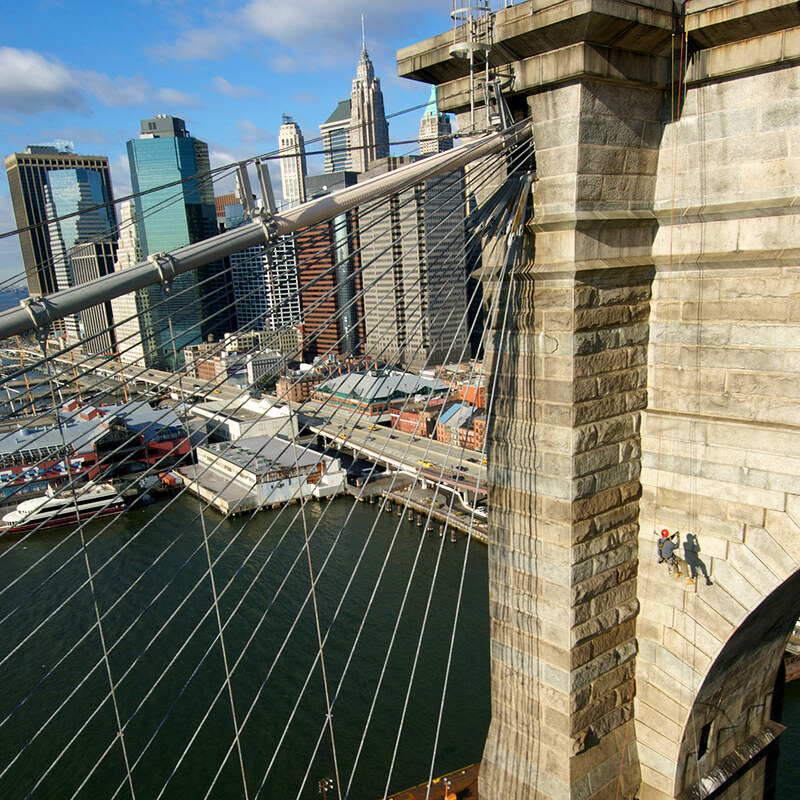 MISTRAS specializes in bridge inspection and maintenance using rope access. By using a broad range of access techniques, our specialists can place themselves within arm's reach of critical members in the most safe, efficient and economical way possible. Rope access capabilities allow the rope access team to work on structures that would otherwise be inaccessible or too expensive to reach using other means. Minimizing or eliminating lane or track closures is just one way Ropeworks lowers cost to the project and regional economy. • Inspection of steel, concrete and wood bridges to NBI Standards. • Rigging and supervision by SPRAT-certified rope access technicians. 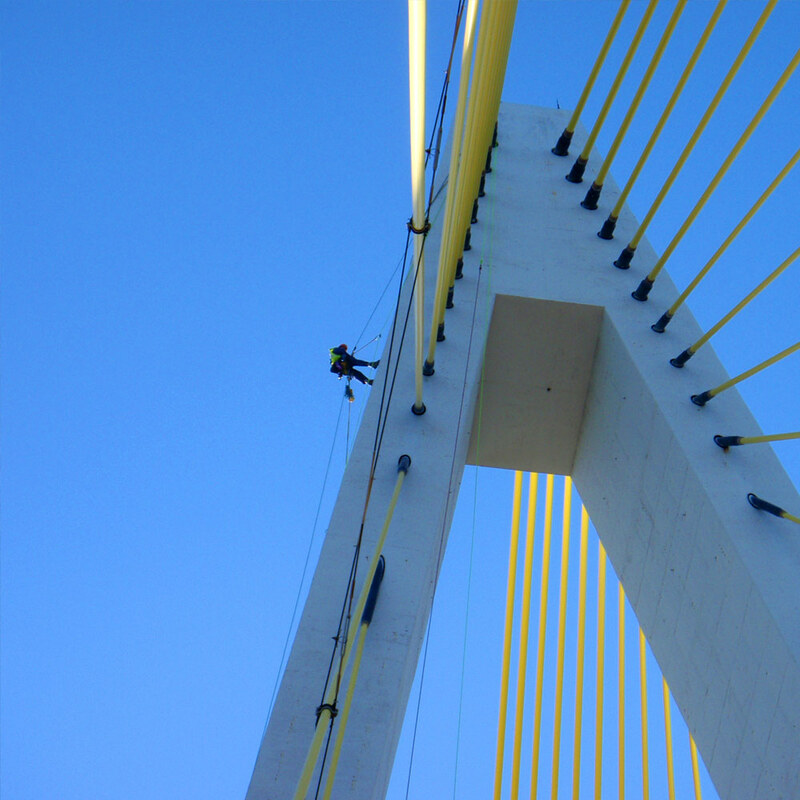 MISTRAS Rope Access Technicians have been engaged in bridge inspection and maintenance since 1994. Our team of FHWA-certified bridge inspectors collaborate throughout North America with our network of professional engineers licensed in most states and provinces. Our team members are chosen for their technical expertise and their positive attitude consistent with our guiding principles.